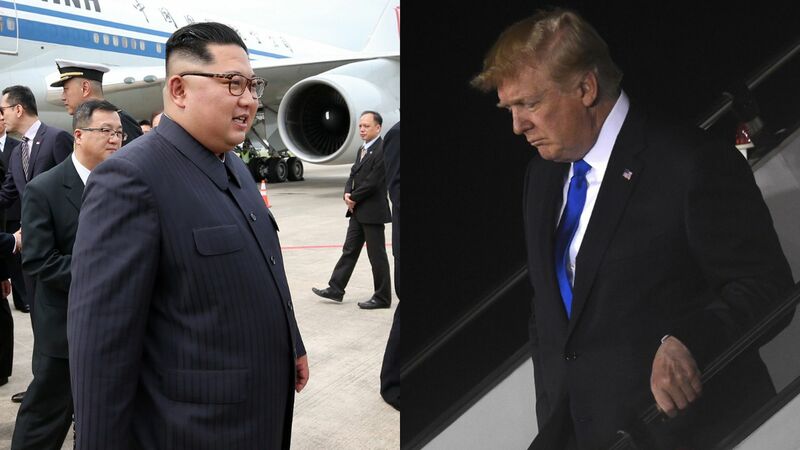 North Korean leader Kim Jong-un and President Trump have both arrived in Singapore ahead of their Tuesday summit. Kim and his delegation landed on Sunday afternoon while Trump touched down at 8:21 p.m. local time after an eventful exit from the G7 in Canada last night. The big picture: Highlighting his isolation on the international scene, this is Kim's first known international trip as North Korea's leader outside China — where he only visited for the first time in March.